DSP CONTROLLED SAFE SAW FOR "SAWSTOP LLC "
FLOW CYTOMETER ELECTRONICS for "GUAVA TECHNOLOGIES INC"
Design of low noise signal acquisition electronics for optical signal detection and stepper motor control electronics for a syringe pump drive. "TechnologyOne was brought in to help define the electronics architecture and then to complete the design of various sub-systems such as motor control, FPGA programming and a breadboard Peltier cooler. It was very convenient that TechnologyOne could do, not just the design, but also a critical analog board layout, so that we could have confidence that it was all handled in a technically appropriate manner. I look forward to taking advantage of TechnologyOne's experience on a future project." P.L., Contracting Engineering Manager, Guava Technologies. CONTROL ELECTRONICS FOR MEMS BASED DCE FOR "LIGHTCONNECT INC"
MEMS based optical attenuators are controlled by a 21065 SHARC DSP. Design of dual port RAM based communication interface, DSP architecture and analog high voltage amplifiers for driving the MEMS actuators. "TechnologyOne was a valuable asset in our early Startup stage. TechnologyOne quickly designed several DSP boards to drive Lightconnect's MEMs based optical modules. We look forward to using TechnologyOne to help with our future projects. "Asif Godil, Chairman and Chief Technology Officer, Light Connect Inc.
IMMUNOASSAY DIAGNOSTIC INSTRUMENT FOR "FIRST MEDICAL INC"
TI TMS320C31 DSP based instrument for diagnosing Cardiac Markers. TechnologyOne designed ALL electronics for Robotics, Themal control, Fluid manipulation, Fluorescent signal detection and signal processing. Technology One wrote (ALL) high speed C31 Assembly code to control 14 axes of motion simultaneously including 2 servos and perform digital synchronous demodulation and FFT analysis of fluorescent signals received by a PMT. AUTOMATIC CELL LYSE AND WASH INSTRUMENT FOR "BECKTON DICKINSON Inc."
ADSP 2181 and 8051 based instrument for automatically manipulating a test tube rack with samples. "Technology One designed the COMPLETE electronics package for this clinical sample processing system. They worked with us to modularize the motor control subsystem. Repetitive hardware architecture saved us money and development time. Every ease-of-use feature we asked for was fully supported, including a smart safety door, mechanical fault-sensing, and auto-resume after power failure. This complicated system was prototyped in 13 months instead of the usual 24. Performance in the field has been very reliable, which is the essence of quality automation. "P. Bierre, Founder, Automation Systems Group, "Beckton Dickinson"
NQR SPECTROMETER FOR EXPLOSIVES DETECTION USING 6 SHARC DSP's IN A PARALLAEL PROCESSING CONFIGURATION FOR " INVISION SUBSIDIARY QUANTUM MAGNETICS"
TechnologyOne Designed a DSP Based Landmine detection system. 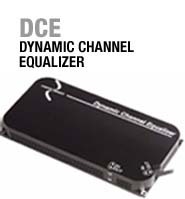 Electronics designed included, Transmitter, Receiver and DSP Back end with 6 SHARC processors in a parallel net. The detection was based on Quadrupole resonance which detects explosives by radiating the subject with an RF field and "listening" for NQR signals from Nitrogen. "Technnology One worked directly with the scientific team and the developers of the prior system to define the parameters for the upgraded hardware and find an appropriate trade-off between performance, complexity and future expansion capacity. Technology One selected the final components, designed the complete circuit board and wrote the first layer software. The board required very few refinements and was used in the successful system tests that lead to two major follow-on development contracts, each worth more than $12 M from the the Army and Marine Corps." Andrew Hibbs Phd. Program Chief Scientist.